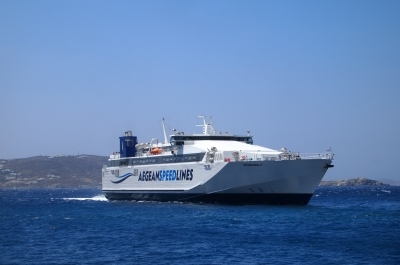 The Aferry website has published a comprehensive Greek Ferry Guide, with suggested itineraries, guides to the different island groups, advice about cars on ferries, a explanation of the differences between fast and convenient ferries, taking your dog on a ferry, printing your ticket and e-ticketing, and a much-needed guide to the port of Piraeus. With their permission, here's an extract from the guide covering buying Greek ferry tickets online. 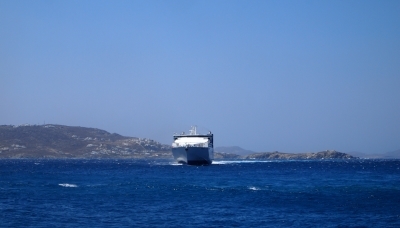 Greece is one of the world's largest passenger ferry markets. 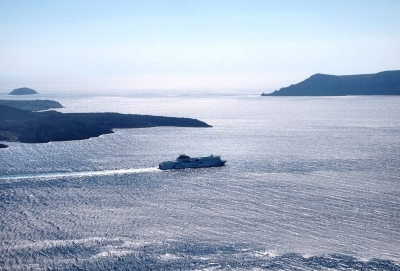 In 2008, 18.3 million people travelled on ferries in Greece. For a comparison, 15.3 million people travelled between England and France in 2014. The Greek ferry market is so large due to the huge number of islands. There are approximately 6,000 islands of which 227 are inhabited. The high period for tourism in Greece is June to August and ferries can and do become full in this period. Therefore it is well worth booking in advance on sites like AFerry.co.uk. As tourist numbers pick-up in the summer it becomes increasingly risky to not reserve tickets in advance. If you plan to travel anywhere in June, July or August or during Greek public holidays, there is every chance that you may not find a sailing when you want to travel. And there is every chance that you won't find reserved seating or a cabin. 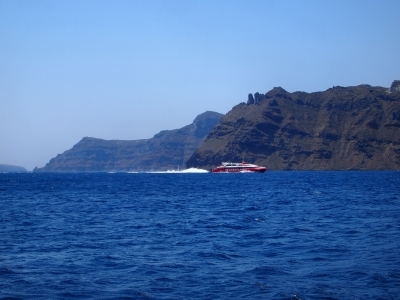 It's also worth noting that while you may be going to a less popular spot, most ferries do end up at the popular ports like Santorini or Piraeus. So even if your final destination is a less popular island, this is no guarantee of finding a ticket without booking in advance. However, even if you reserve a ticket online, you'll still need to swap the confirmation for an actual ferry ticket. There are no exceptions. The system could be changing soon, but this may not be for a few years. But booking online and collecting your ticket is quite straight-forward. The major ports: Piraeus, Santorini, Mykonos, and others will have a booth or office at the port that will certainly be opened in time for your departure - even if at night. For the other islands where the port is in the town or village, you have two choices. One, use any agency that sells ferry tickets for the ferry company you'll sail with - you'll find most agencies sell tickets for all the ferry companies. All you have to do is present your ID and booking confirmation to get your ticket printed. There might be a small charge of two or three Euros to print your ticket. Or the second option is to go to the `central agency'. By using the central agency you won't have to pay any fee. The central agency is normally located close to the port. You can find the name of the agency by going to the website of your ferry company.